I’ve always found the concept of losing weight to be pretty easy but the actual practice of losing weight to almost be impossible. The reason behind this is there are just too many things happening during the day that goes against your journey to lose weight. Most of these things you aren’t even keeping track of and that’s what usually gets you. In this post, I want to cover some of the reasons why you might not be losing as much weight as you think you should be losing. First, let’s clear one thing up. To lose weight you must put your body in a caloric deficit. That means you can’t consume more calories than you are burning. It’s like trying to save money. You can spend more than you make. However, this doesn’t mean that you need to be watching your calorie intake consistently or that all calories are treated equally. 400 calories in the soda is going to be a lot different than the 400 calories in that head of broccoli. So first things first, if you aren’t burning more calories than you are consuming in a day you aren’t going to be losing any weight. That’s just the cardinal rule. If you want to figure out your calorie ceiling then check out this calories calculator. Now let’s get more specific. We all want to be happy and for many us that involves having the body that we want. However, if you are just losing weight so you can fit into those old jeans then odds are you are fighting a losing battle. The reason why is because that is a goal you can easily throw away. On your weight loss journey, you might decide that fitting into those jeans isn’t that big of a deal or is something you can push off until later. So instead of staying focused you eat that chocolate cake without any remorse. If you want to lose weight you need to approach it with the right mindset and the right Why. Why are you wanting to lose weight? For me, it was all about living a happier life which meant living a healthier life. I didn’t want my body to prevent me from doing the things that I wanted to do. If you aren’t giving your body the necessary resources it needs to burn fat then how can you expect it to burn fat? Sounds like common sense but odds are you aren’t drinking enough water to allow your body to function properly. The general rule is that you should be consuming between 0.5 ounces to 1 ounce of water each day per pound of body weight. So if you weight 130 lbs that means you should be drinking 65 ounces to 130 ounces of water every single day. Water does a great job of flushing your body of toxins and nobody wants to keep toxins in their body. So get to drinking more water! If you’re not in the mood for plain water then consider making some detox waters. I go with simple lemon water but if you want to try something more exotic here are 11 detox water recipes for you to try. At some point, the myth of eating a ton of small meals got a lot of play. Studies have actually shown that meal frequency has no bearing on your weight loss. In fact, intermittent fasting might work out better for you. What’s that? Well, a quick summary is you have a specific time range where you consume calories and that’s it. For example, many people do 16/8 fasting which means you eat for 8 hours (not straight!) and then fast for 16. This gives your body time to process the food and nutrients along with time to do the other things that it needs to do. I’ve seen great results personally from intermittent fasting and it has actually made my life easier. My schedule is that I eat my first meal at 11am and my final meal around 6:30pm. Because I have my whole day planned out I never have to think about what I’m going to eat or when I’m going to eat it. This is one of the huge advantages of meal planning on keto. Remember that whole caloric deficit thing we talked about earlier? It’s too hard to know if you are doing that daily if you aren’t tracking what you eat. This can take some getting used to but once you get the hang of it, you’ll know exactly what you are putting in your body. To track what I’m eating daily I like to use MyMacros+. It helps me stay on track and it’s nice to see which meals are providing me with the macros that I need. We tell all of our Keto Dash members that the best way to lose weight is to track what is going inside of your body. If you don’t do that then it’s hard to understand what is going wrong. The quickest way to lose weight is to simply cut your carb consumption. Yet people mistakenly think that one cookie isn’t going to do them much damage. It might not but it certainly isn’t helping you to achieve your goal of losing weight. New studies are also showing that one of the main causes of cancer is sugar. Sugar is a substance that just isn’t good for you. I know, I know, everything made with sugar is so delicious but there are alternatives. Notice I said you should lower your carbs, not cut out the treats? I make sugar-free treats all the time and they actually fit within my diet. They are called fat bombs and every single one is delicious. 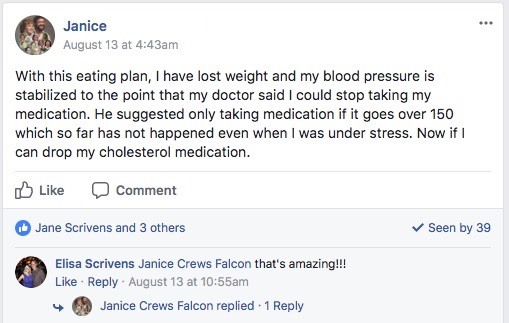 Once I adopted the Ketogenic lifestyle I found that I not only lost weight quickly but I never had to worry about gaining it back. If you’re interested in the Ketogenic diet then check out the offer at the end of this post. Did you know a lot of the fat burning your body does occur when you’re sleeping? The less you sleep the less time you’re giving your body to do what you want it to do. Sleep time is when your body heals and reenergizes itself for the next day. Also, when you’re tired your willpower is lowered and you find yourself losing the cupcake resistance battle. Yes, you can lose weight without exercising but that doesn’t mean you should avoid exercise. Exercise is great for your heart and mind so take the time to break a sweat a couple times a week. If you want to slowly get back into the swing of things then check out these 9 one song workouts. As you can see a lot of things have to be working in your favor if you want to lose weight. You might be doing something unintentionally to sabotage yourself and that can lead to frustration and possibly quitting. 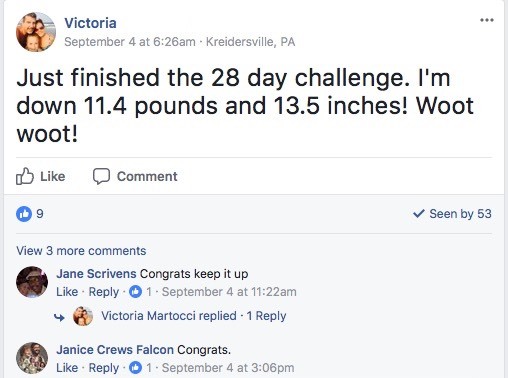 When starting your weight loss journey track everything that you do so if you aren’t getting the results that you want you can take a look and try to understand what is going on. If you want help losing weight then check out the program that I run below. Enjoyed 7 Reasons Why You’re Not Losing Weight Even When You’re Trying to? Share it with your friends so they to can follow the Miss Fit Living journey!